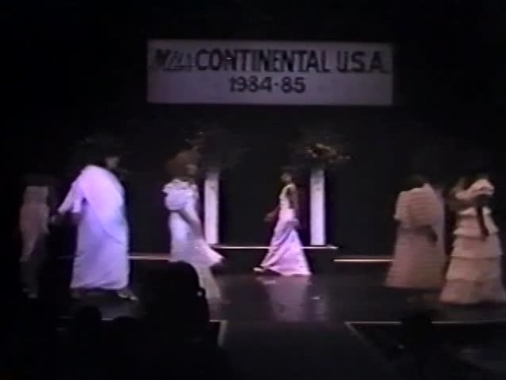 Miss Continental Pageant 1984 1000 free video view(s) remaining. Bison-shaped Jim Flint wears formal attire to preside over well-established pageant routines. A sluttish, spunky Cherine Alexander becomes the stunned winner. In a talent show of elaborate numbers, she performs the most unforgettable one. Surrounded by fog and black male dancers, Cherine strips to a briefer costume (as do the dancers). She is then put in a cage which is covered, turned, and uncovered to reveal a real leopard instead of Cherine! A vintage video from the Male Entertainment Network (MEN), who documented gay history and '80s gay life in a unique fashion.